Hey guys, I recently bought my Zeals but have decided to go back to school. The school I want to go to isn't accredited so student loans aren't really available to me. I decided I'm going to sell my coilovers. These have about 6,000 miles on them and still function perfectly. I prefer local pickup (Around Bellevue, WA) but can ship at sellers expense. Paypal only and buyer pays all fees. Looking to get 1,500. These go for about 3,000 brand new... Thanks guys, PM me with any questions. 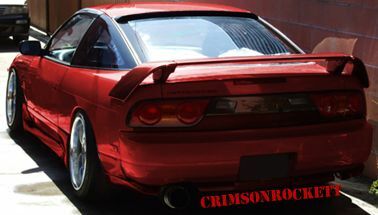 I regretted selling the Endless Zeal Function Xs set I had for an S14 a few years ago. Didn't plan on building another Kouki. One of my favorite coilovers. Man, these coils are so sick. I figure I'd ask, but I'm sure I and figure out the answer. What's up? I don't really understand the question bud. Would you be open to any trades. I have quite a bit that is more than fair on both ends.